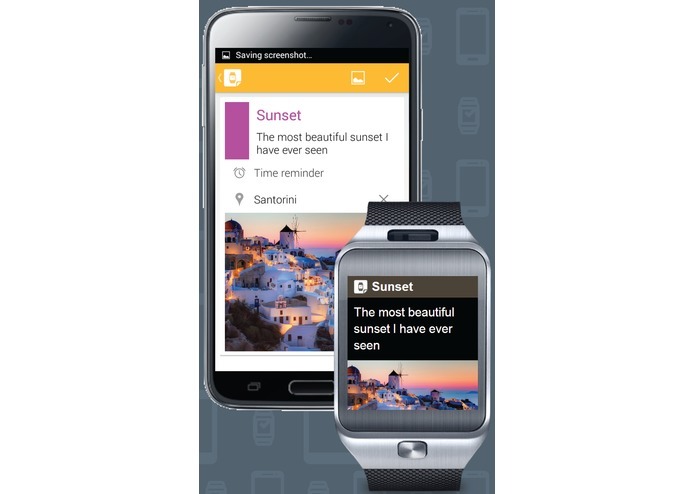 Create notes at a glance using your voice and keep all of your devices synchronized instantly! 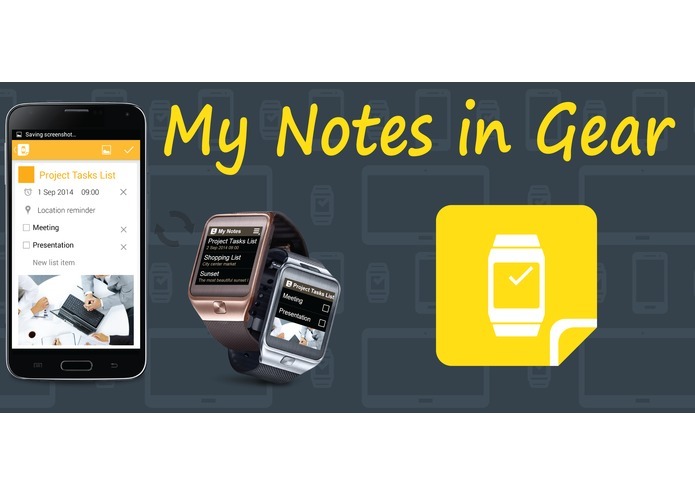 ”My Notes in Gear” helps you manage your notes and checklists effortlessly and keep all of your devices synchronized instantly. 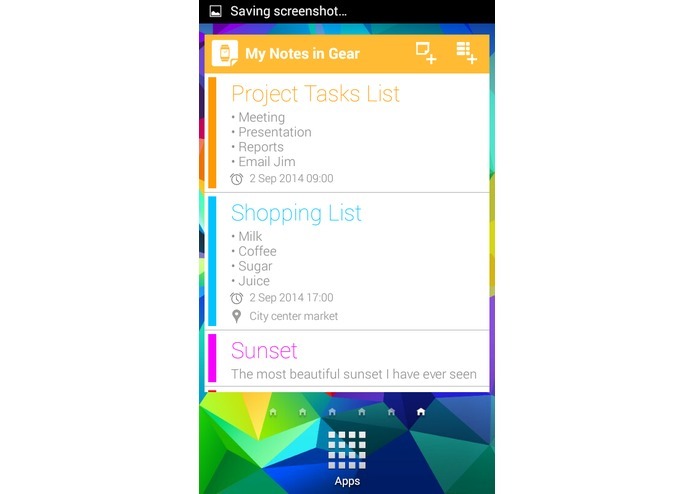 Take notes and create to-do lists at a glance, add picture attachments and make your notes unique by setting colors. Add time or location based reminders and get notified at the right place and time. 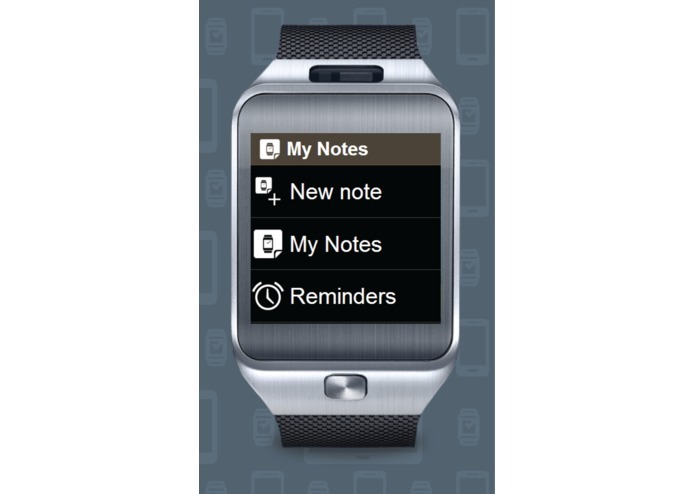 ”My Notes in Gear” brings your notes and checklists to your wrist. 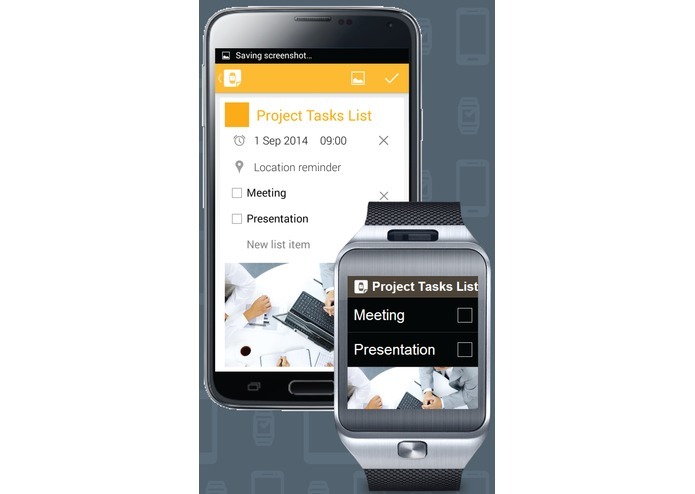 View your notes and picture attachments, check off your to-dos, edit your reminders and get notified on your Gear. 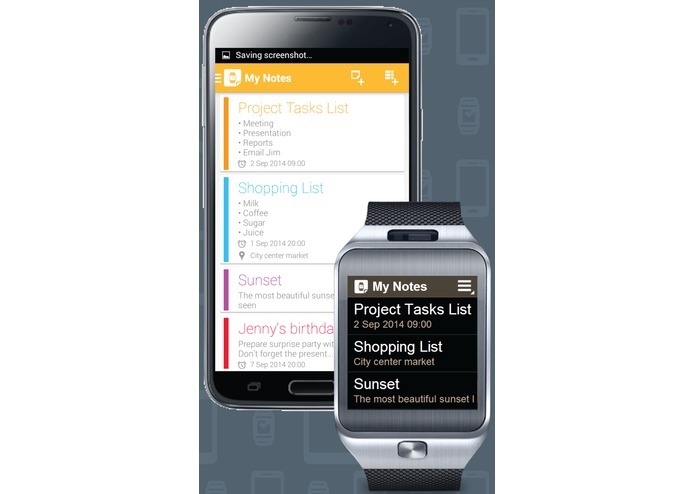 The best part is that you can create notes and to-do lists with your voice! 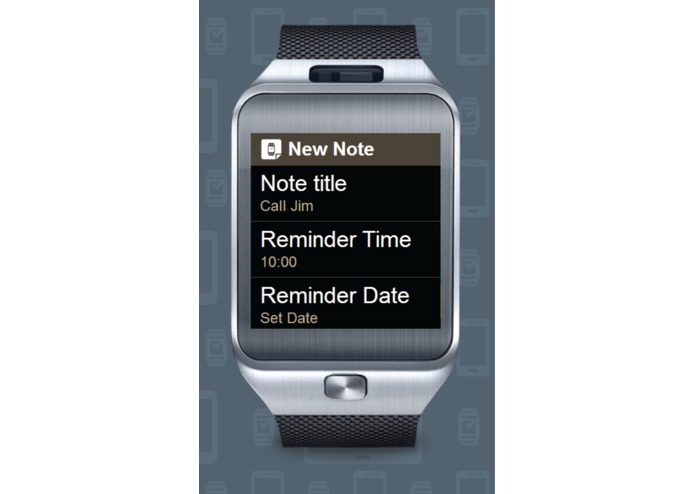 Add picture attachments and time or location based reminders, while your phone stays in your pocket!